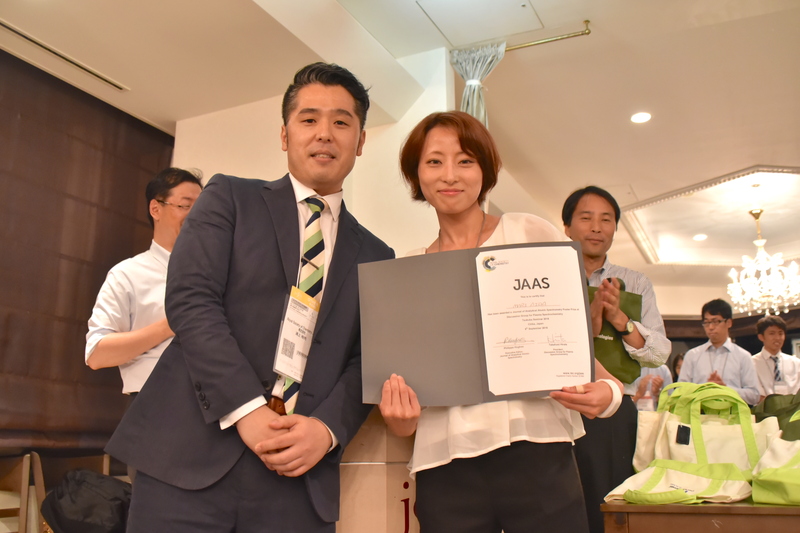 The annual seminar “A Guide to Plasma Spectrochemistry – From sample digestion to practical analytical examples” was held at the JASIS Conference in Makuhari, Japan on 6th September 2016. One of the winners of the Poster Prize competition was Ms Mari Aida from Tokyo Institute Technology with her poster “Desorption/ionization mass spectrometry method for mapping of skin-surface compounds using low power laser and non-thermal plasma”. 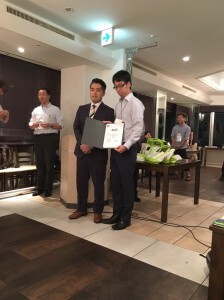 The other winner was Mr Yuuki Tanaka from Kyoto University with his poster “Evaluating the changes in bone mineral balance for CKD and Diabetic model rat through the Calcium isotopic signatures”. Congratulations to Yuuki and Mari! Congratulations to our JAAS Poster Prize winner at the recent ISEAC 39 (39th International Symposium on Environmental Analytical Chemistry) meeting in Hamburg, Germany. The central subject of the ISEAC-39 conference that took place at the University of Hamburg, from July 19th – 22nd 2016 was the innovative use of analytical methods for the investigation of environmentally and food relevant questions. The winner was Anja Brandt with her poster on the direct detection of metal nanoparticles by high resolution continuum source GFAAS. 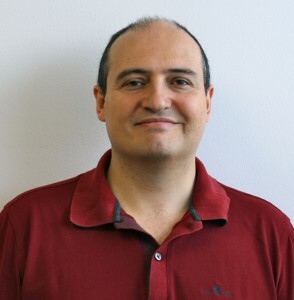 The new Chair of the Editorial Board for JAAS has been announced as Martín Resano. We recently had the opportunity to catch up with Martín and find out a bit more about him. What are you most looking forward to in your new role as chair? Besides working with very nice people, I think it is learning. Since I joined the Advisory Board and later the Editorial Board of JAAS, I have learnt a lot about how a Journal works and how all my colleagues do things in different ways. I expect the role as Chair will be even more formative. Plus, my wife is very proud of me! My aim is to try to further improve JAAS and leave it in a better situation than is now. Obviously, I have big shoes to fill, so it will not be easy. But JAAS community has always been like a family and we want to keep that, we want to keep the human contact in a Web 2.0 world, and we want to make it as easier and swift as possible for authors and reviewers, as well as provide further service (e.g. I like the new citation velocity addition!). I think there is still some room for improvement, for instance regarding proof corrections and MS promotion. And there is always the inevitable IF. I think the current IF does not completely reflect the quality of the papers that JAAS publishes and I would like to see it going higher. Plus, former Editor and Publisher Niamh O’Connor jokingly (jokingly?) challenged me to beat the IF she achieved with Detlef Gunther as Chair (4.372 in 2010). Let’s see what we can do about that. What direction do you see this research field moving in and what do you imagine will be the next big breakthrough? I think atomic spectrometry is a bit dependent on instrumental and technological developments. This happens in all areas, but perhaps it is most obvious in ours, because only a few groups have the knowledge, support and access to resources to build such complex instruments. But we are good at taking advantage of the instruments we have, and even using them for purposes that significantly differ from those for which they were originally designed for, sometimes with very interesting outcomes. So you can see new papers coming in some areas due to new needs (e.g., characterization of nanomaterials) but also because new instruments make it possible to develop new applications (e.g., new types of lasers, high-resolution continuum source AAS devices, ICP-MS/MS instruments, new XRF imaging applications based on synchrotrons). So it is hard to guess, because I think technologically it is possible to build better instrumentation right now, but the commercial impact has to be taken into account. From a personal point of view, I would like to see a more powerful high-res continuum source AAS device, I am very curious about the potential of TOF devices for ICP-MS, and I would like to see the prices of fs lasers to finally drop. 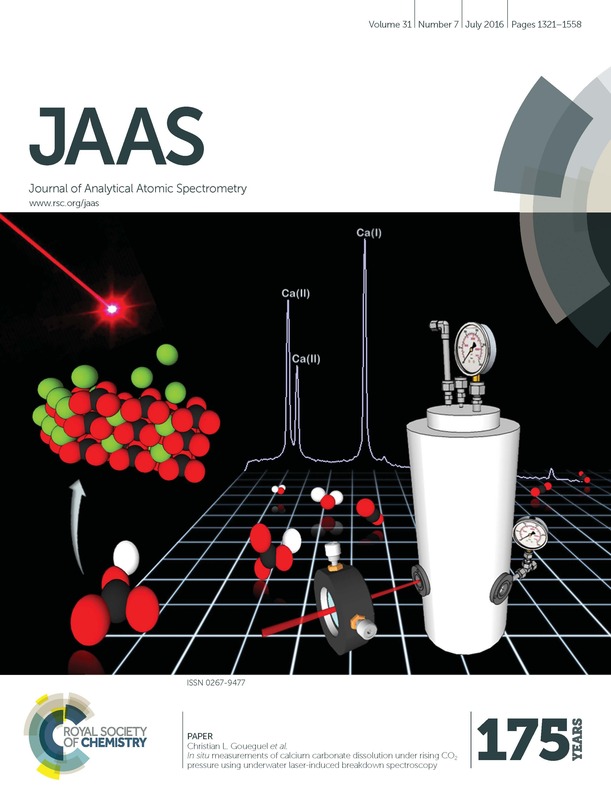 And, overall, I think the difference between atomic and molecular spectrometry is becoming very subtle, as former Chair Frank Vanhaecke discussed in a recent JAAS editorial. How do we encourage the next generation of analytical chemists? Analytical chemistry is such an interdisciplinary field that enables you to work in any area you really like. Plus, the information we provide is not only useful, but often indispensable. Whose work do you think is really exciting at the moment? Everybody in our Editorial and Advisory Board is doing a great job. I feel very comfortable with the team we have, and I think it would be a bit unfair to highlight some group right now. Instead, I prefer to talk a bit about the past. I grew up as a scientist admiring the work that former JAAS Chairs (such as Barry Sharp, Joe Caruso, Gary Hietfje, Detlef Gunther and Frank Vanhaecke) and other JAAS members (such as Ralph Sturgeon, Jim Holcombe, Bernhard Welz, Scott Tanner) did, and for me it has been a formidable experience and a wonderful journey to be able to not only meet them but to work with most of them. And most of them are still active and doing great Science! Once again, we’d like to warmly welcome Martín. We’re looking forward to his term as Chair of the JAAS Editorial Board.